Amazon Web Services, Inc. (AWS), an Amazon.com company (NASDAQ: AMZN), today announced that Amazon GameLift now supports games built with any C++ or C# game engine, including Amazon Lumberyard, Unreal Engine, Unity, and custom developed engines. With Amazon GameLift, developers can quickly scale their dedicated multiplayer game servers to support millions of players using AWS’s highly available cloud infrastructure, without investing thousands of hours in upfront engineering. AWS also announced that Amazon GameLift includes new matchmaking functionality that intelligently selects the closest available game server based on each player’s location, giving players the lowest possible latency by leveraging AWS’s broad global footprint. Game developers only pay for the compute, storage, and bandwidth resources their games use, with no upfront commitments or monthly contracts. To get started with Amazon GameLift, visit aws.amazon.com/gamelift. Expectations for multiplayer games have never been higher. Gamers demand short wait times to connect to games, imperceptible server latency, and bulletproof stability. To meet these expectations, game developers have needed to invest thousands of hours of engineering to build systems that manage server infrastructure and scale capacity. Amazon GameLift is a managed service for deploying, operating, and scaling dedicated game servers for session-based multiplayer games. 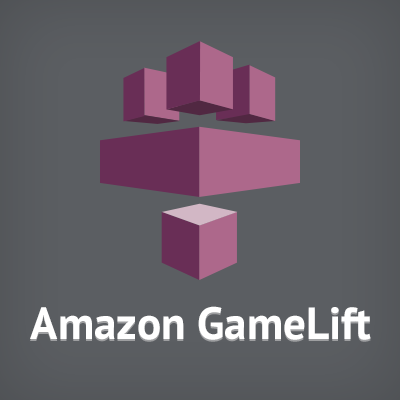 With Amazon GameLift, developers simply add the Amazon GameLift SDK to their games, upload their game servers, and launch the service in the AWS Management Console. The service then automatically deploys game servers across the AWS Cloud and starts connecting players to games. Amazon GameLift’s new matchmaking functionality continually scans available game servers around the world and matches them against player requests to join games. If low-latency game servers are not available, the service’s autoscaling feature can automatically start one, hundreds, or even thousands of game servers across AWS’s global regions. Autoscaling also eliminates wasted capacity by stopping unused game servers in minutes, lowering Amazon GameLift costs by an average of 50 percent. With Amazon GameLift, developers can be confident that on day one that their multiplayer games can scale to support millions of players, while maintaining the high performance gamers expect. Gearbox Software, the award-winning developer of blockbuster franchises including Battleborn, Borderlands, and Brothers in Arms, is beginning to deploy Amazon GameLift. “Now that Amazon GameLift is available for all game engines, we’re excited about its potential to help us deliver the lightning-fast, seamless online multiplayer experiences our fans demand,” said Neil Johnson, Technical Director at Gearbox Software. Developers can start using Amazon GameLift using the AWS Management Console or by downloading the SDK at aws.amazon.com/gamelift. This entry was posted in 2, Developer, game, games, Games Developer, mobile, train, train 2 game, Train2Game, www.train2game-news.co.uk and tagged 2, Amazon, C++, developer, game, GameLift, Games design, Games Developer, games industry, train, Train2Game by Train2Game Blogger Team. Bookmark the permalink.